Over the course of the last month, I've spent significant time updating Abort73's international abortion statistics. 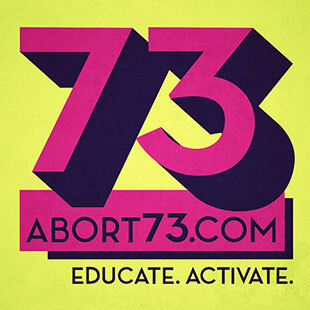 In addition to maintaining pages for all of the major English-speaking countries, Abort73 also has a page dedicated to worldwide abortion statistics. Unfortunately, worldwide abortion statistics don't actually exist, forcing us to rely upon estimates instead. Though a few different organizations report on the incidence of abortion worldwide, there is only one source for global abortion totals—the Guttmacher Institute. Both the United Nations (UN) and the World Health Organization (WHO) republish Guttmacher's estimates as reliable and authoritative. But are they? That's the question I recently set out to answer. The Guttmacher Institute, it's fair to say, has a conflict of interests. By their own admission, Guttmacher is a "research and policy organization committed to advancing [abortion] rights in the United States and globally." In other words, the Guttmacher Institute has a clear and active agenda that influences everything they do—which is why their publications go well beyond the mere reporting of facts. Guttmacher also interprets those facts in an ongoing effort to normalize abortion around the globe. But what if there are no facts to interpret? Would they be willing to create their own? According to Guttmacher's latest estimates, more than 56 million abortions occur each year around the world. The source for this number is a 2016 study authored by Guttmacher's Principal Research Scientist, Gilda Sedgh, and published in The Lancet. The study's Background Summary concludes with a dual declaration of purpose. First, the study aims at estimating the percentage of pregnancies that end in abortion. Second, the study seeks is to answer this question: Does the legal status of abortion have any bearing on the rate of abortion? If that question strikes you as absurdly self-evident, I know how you feel. Does the legality of abortion have any influence on a woman's willingness to have an abortion?! Yes, it has a MASSIVE influence—and both history and common sense bear this out. Nevertheless, the abortion industry is determined to convince the world that criminalizing abortion has no bearing on the frequency of abortion—a proposition that is largely propped up on medical studies that are too dense for most people to critically analyze.